This study presents a new approach to quantify ecosystem functioning at scales relevant for policy makers. Photo by Pixabay. Forests provide a number of functions related to key services such as timber production, climate regulation and recreation, and are important for the conservation of many plant and animal species. Thus humans require multiple services from ecosystems, but it is largely unknown whether trade-offs between ecosystem functions prevent the realisation of high ecosystem multifunctionality across spatial scales. In a new study in the journal Ecology Letters scientists combined a comprehensive dataset (28 ecosystem functions measured on 209 forest plots) with a forest inventory dataset (105,316 plots) to extrapolate and map relationships between various ecosystem multifunctionality measures across Europe. These multifunctionality measures reflected different management objectives, related to key services (timber production, climate regulation and biodiversity conservation/recreation). Authors found that different measures of forest multifunctionality tend not to tradeoff with each other, at both local and continental scales. “Within some areas there were strong synergies between different multifunctionality measures, indicating that even though they are currently uncommon, ‘win-win’ forest management strategies are possible and could be promoted in the future. “Using one of the most comprehensive assessments so far, our study therefore suggests a high but largely unrealised potential for management to promote multifunctional forests in Europe”, said Dr. van der Plas from Institute of Plant Sciences, University of Bern, Switzerland. For the authors this study is a first step in reaching the ultimate goal of predicting how future ecosystem functioning and service provision will be altered by ongoing global trends, such as climate change), eutrophication and acidification or land-use change “Future studies could combine this approach with models on climate change, biodiversity change or management scenarios to investigate the impacts of these global trends for the future functioning and service provisioning of forests and other ecosystems”, said Prof. Josep Peñuelas from CREAF-CSIC Barcelona. Journal Reference: van der Plas, F., Ratcliffe, S., Ruiz-Benito, P., Scherer-Lorenzen, M., Verheyen, K., Wirth, C., Zavala, M.A., Ampoorter, E., Baeten, L., Barbaro, L., Bastias, C.C., Bauhus, J., Benavides, R., Benneter, A., Bonal, D., Bouriaud, O., Bruelheide, H., Bussotti, F., Carnol, M., Castagneyrol, B., Charbonnier, Y., Cornelissen, J.C., Dahlgren, J., Checko, E., Coppi, A., Muhie Dawud, S., Deconchat, M., De Smedt, P., De Wandeler, H., Domisch, T., Finér, L., Fotelli, M., Gessler, A., Granier, A., Grossiord, C., Guyot, V., Haase, J., Hättenschwiler, S., Jactel, H., Jaroszewicz, B., Joly, F., Jucker, T., Kambach, S., Kaendler, G., Kattge, J., Koricheva, J., Kunstler, G., Lehtonen, A., Liebergesell, M., Manning, P., Milligan, H., Müller, S., Muys, B., Nguyen, D., Nock, C., Ohse, B., Paquette, A., Peñuelas, J., Pollastrini, M., Radoglou, K., Raulund-Rasmussen, K., Roger, F., Seidl, R., Selvi, F., Stenlid, J., Valladares, F., van Keer, J., Vesterdal, L., Fischer, M., Gamfeldt, L., Allan, E. 2018. Continental mapping of forest ecosystem functions reveals a high but unrealized potential for forest multifunctionality. Ecology Letters 21, Issue 1, 31–42, doi: 10.1111/ele.12868. This entry was posted in Outreach on January 23, 2018 by Rosa Casanovas. The Paris Agreement is based on emission scenarios that move from a sluggish phase-out of fossil fuels to largescale late-century negative emissions. In a new study in the journal Nature Climate Change authors argue that a new set of scenarios needs to be generated and analysed to inform the policy process on robust timing of climate mitigation, with the aim of avoiding negative side effects. Image by: Pixabay. In a new study in the journal Nature Climate Change, authors scrutinize the dominant climate mitigation scenario archetype that projects low global decarbonization rates in the first half of this century followed by large negative emissions in the second half, thanks to carbon dioxide removal (CDR) technologies. Authors call this approach to mitigation the ‘Late- Century CDR’ scenario archetype. This archetype is consistent with nearly all of 2 °C scenarios covered by the IPCC’s Fifth Assessment Report (AR5), 87% of which deploy CDR technologies in the second half of the century. The authors consider that, following this predominant archetype might not only turn out to be a risky strategy, but may lead to significant environmental damages and may also be economically inefficient. 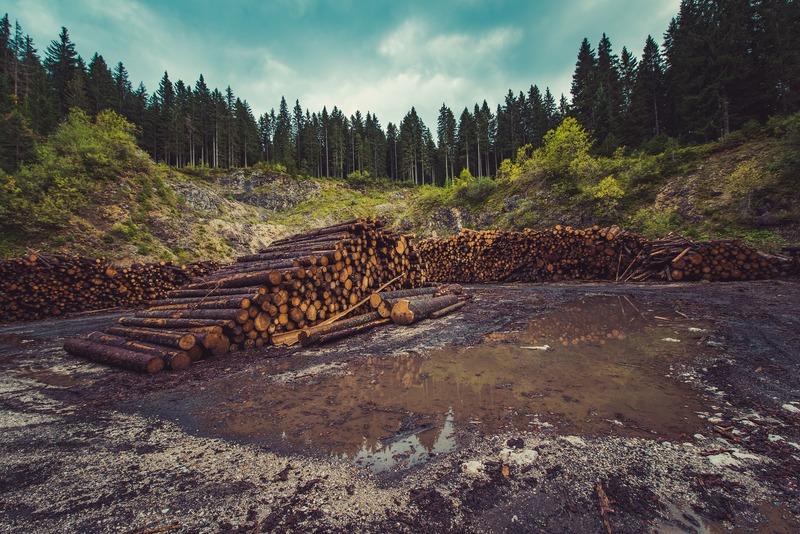 In Late-Century CDR scenarios, CDR mostly in the form of bioenergy with carbon capture and storage (BECCS) typically removes the equivalent of 20 years of current GHG emissions to reverse the temporary GHG budget overshoot that is tolerated earlier on. The authors point out that the challenges and uncertainties associated with CDR are well described in the scientific literature, yet the scientific and political debate addressing the consequences of large-scale and late deployment of CDR as a backstop strategy is only at an early stage. Authors argue that a new set of scenarios needs to be generated and analysed to inform the policy process on robust timing of climate mitigation, with the aim of avoiding negative side effects. “Essentially, three attributes characterize such budget-constrained scenarios: the timing and magnitude of global peak net emissions and the speed of decline thereafter; the maximum amount of allowable deployment of biomass-based CDRs; and an admissible risk threshold associated with a temperature overshoot”, noted Prof. Obersteiner from the Ecosystems Services and Management Program, International Institute for Applied Systems Analysis (IIASA) Laxenburg, Austria. The study concludes that the timing of mitigation actions, in particular of negative emission technologies, needs to be urgently revisited in the analyses of ambitious climate targets. They argue that considerations of both intergenerational equity and climate/environment safety motivate early and moderate — rather than extreme — deployment of negative emission technologies as well as a timely peak in net carbon emissions as early as 2020. As a consequence all of the near-term and mid-century net emission reduction, targets should be, according to the authors, reformulated to include targets of early action on CDR technology portfolios. “Transforming the 570 million farms to be climate smart and incentivizing 1.6 billion people who economically depend on forests to become early movers in No Overshoot and Minimize CDR scenarios is a formidable global policy challenge. We call for a discourse on effective strategies, starting with more detailed global gap assessments of the archetypes, and then mainstreaming the gained insights into Nationally Determined Contributions and implementation plans”, said Prof. Josep Peñuelas from CREAF-CSIC Barcelona. This entry was posted in Outreach on January 15, 2018 by Rosa Casanovas.